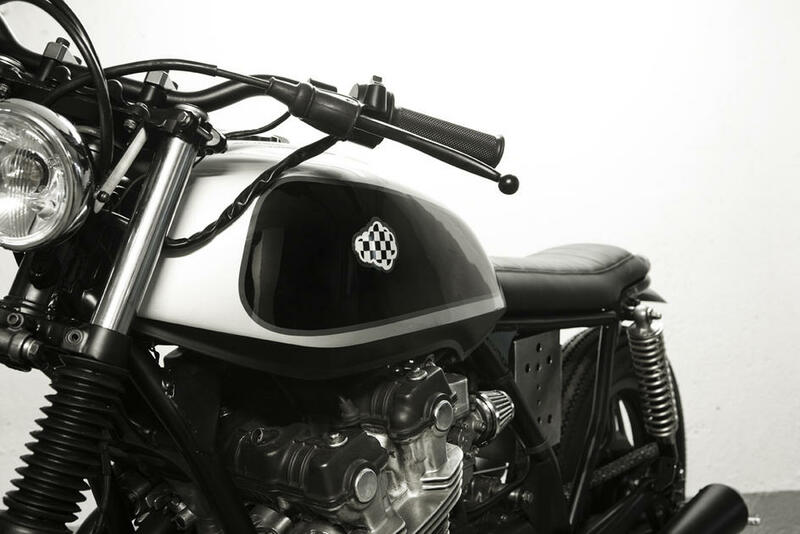 Following the success in forums, blogs and social networks of CRD1, Cafe Racer Dreams changed into ‘business mode’. So we thought that after the first Honda made we had to build a whole trilogy. And try to create a company around them. If not, we would always have three beautiful bikes. And like this came the idea of doing CRD2 Cafe Racer. 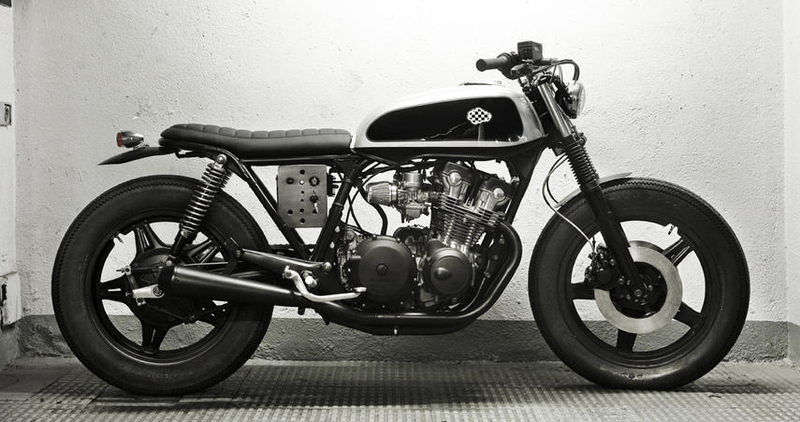 CRD2 Cafe Racer, a Honda CB750kz, was designed in silver gray following the idea of making a bike in grayscale. Soon someone fell in love with her, we had our first buyer and the dream began to come true. Miguel Olivares, a very important figure in the history of Cafe Racer Dreams appeared. The best first customer that anyone could imagine. We are really proud about him being pride the first owner of a Cafe Racer dreams motorcycle. Miguel fell in love with this Honda right away and thought it would be perfect as his wedding gift. Once again, love, dreams and friendship come together in the CRD family. It also has a handcrafted stainless steel battery case, a contact key inserted in the battery case as well as a simplified electrical system. Click here if you want to watch pictures of this motorcycle in action. 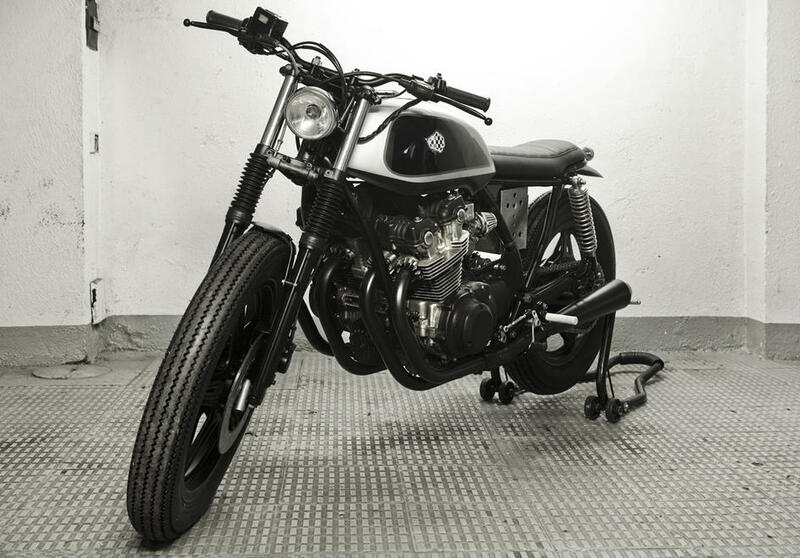 Follow this link if you want to keep watching other Honda motorcycles by Cafe Racer Dreams. Please contact us using this form if you are interested in purchasing a motorbike like CRD2.